Thanks so much for this series. 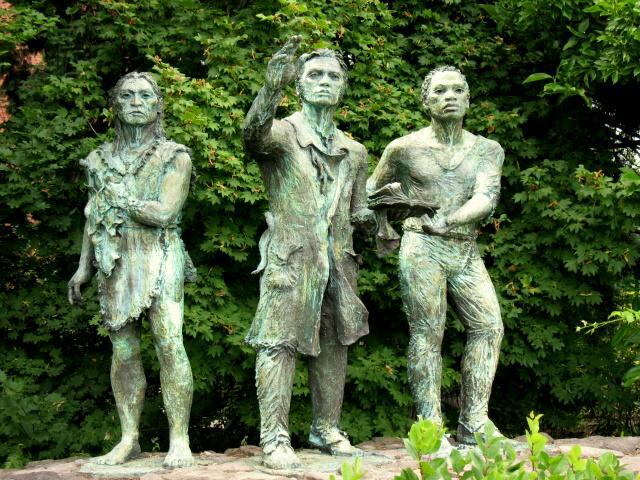 Here are more statues to check out when you visit the Pacific Northwest again. The Patit Creek campsite “Iron Men” – life-size silhouette figures of the entire Corps of Discovery, near Dayton, WA. 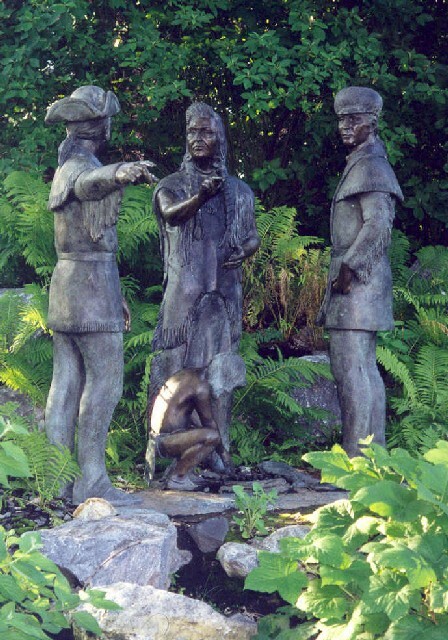 Sacagawea, Pomp and Seaman at Cascade Locks, OR. 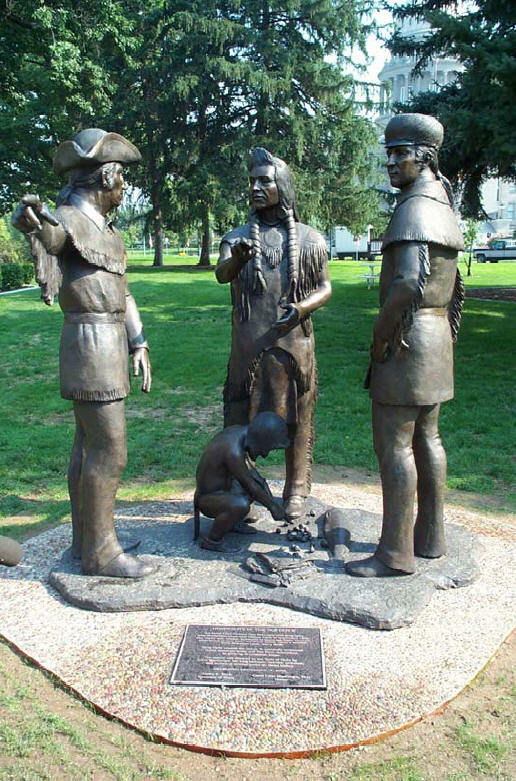 Sacagawea and Pomp make two appearances in Portland, OR. 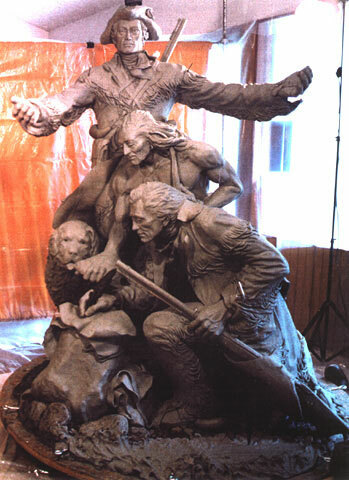 Stanley Wanlass created yet another statue of Lewis and Clark, in Long Beach, WA. 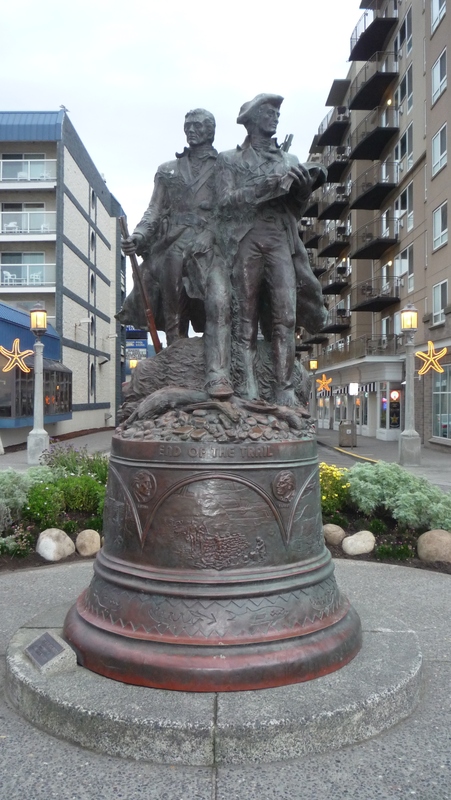 Captain Lewis, John Ordway and Seaman statues are at the main entrance to Fort Lewis, near Lacey, WA. I hope that you can add images of these to the site when time allows. 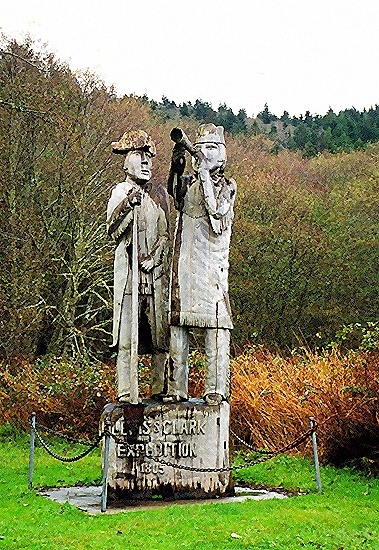 I am sad to report that the old statue of Lewis and Clark “along Highway 101 near the Oregon state line” no longer exists. The wood statue was removed a few years ago, as it had rotted too much to be maintained any longer. It was a landmark along that highway for a long time. I miss it every time I drive by, and I am grateful to see it once again on your site. John, thank you for your great comments and followup! 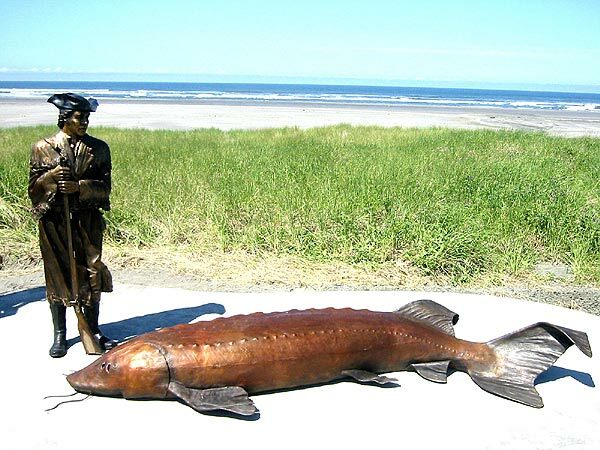 We will definitely do another entry in the series about these sculptures. I am so bummed to hear that the cool wooden statue is no more. I love folk art and would have loved to have seen it.